The Campbell Hausfeld 2,000 PSI electric pressure washer (CP5211) is designed for big jobs. 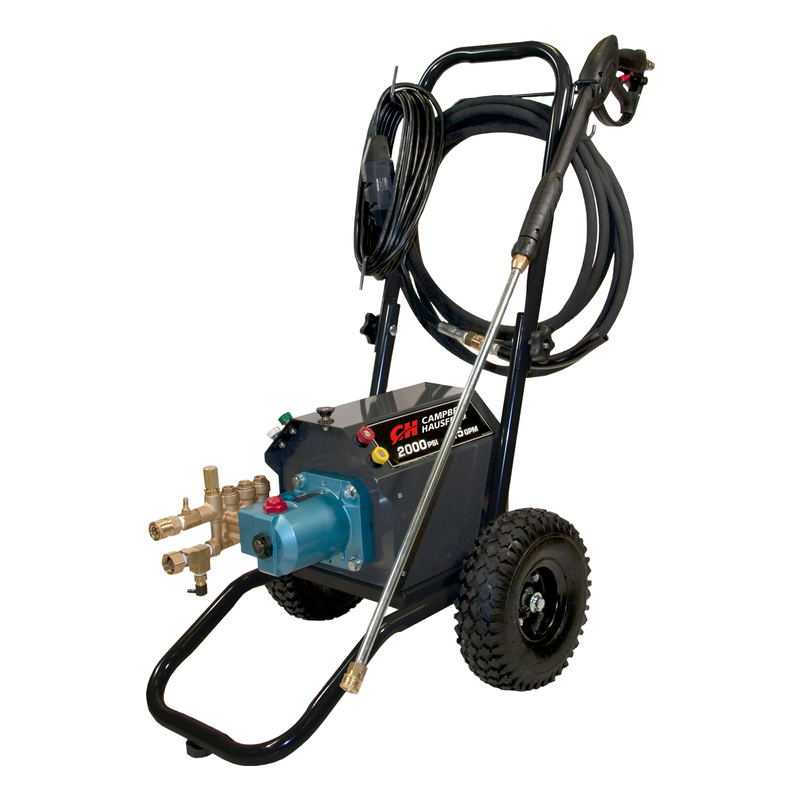 Delivering the performance of a gas-powered unit without the noise, odor or emissions, this pressure washer is built with premium-quality components, including a powerful induction motor, a 1.5 GPM Cat Pumps® triplex pump with solid ceramic plungers and high-pressure seals, and a professional-quality gun and lance. 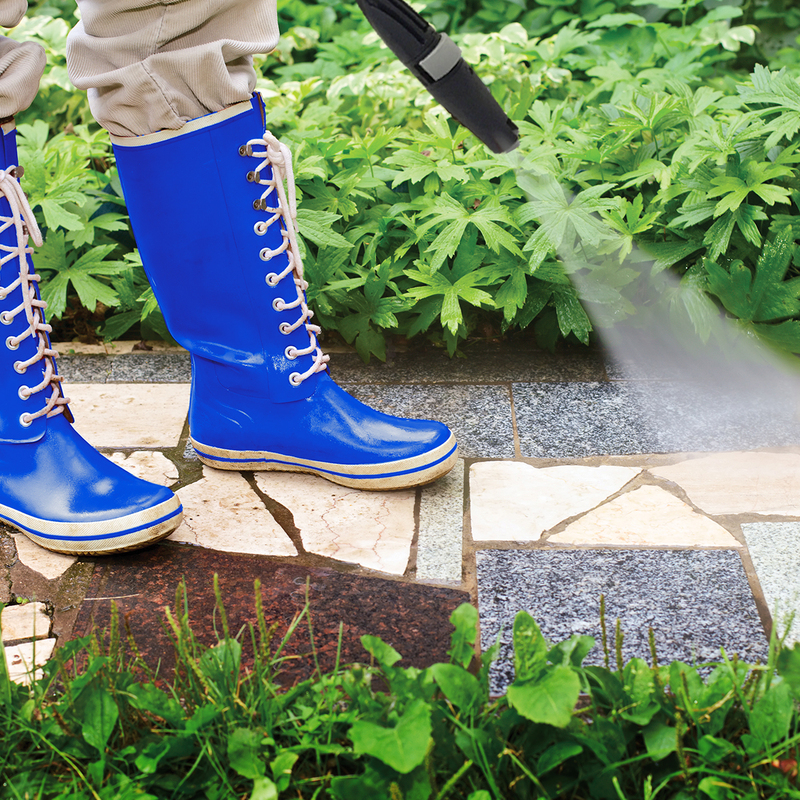 Quick-connect spray tips allow easy pressure changes. An integrated, welded frame is powder coated for durability, uses pneumatic tires for easy movement, features a space-saving fold-down handle and includes storage for tips and other accessories. It's the perfect power washer to handle tough jobs at marinas and maintenance shops, on farm/ag equipment and property, and for use by contractors. Includes five quick-connect spray tips, chemical/detergent tube, spray gun, lance, 25 ft. high-pressure hose and 35 ft. GFCI power cord. 2,000 Max PSI. 1.5 Max GPM.